Monkey Puzzle Blog: The big lesson in life, baby, is never be scared of anyone or anything. The big lesson in life, baby, is never be scared of anyone or anything. 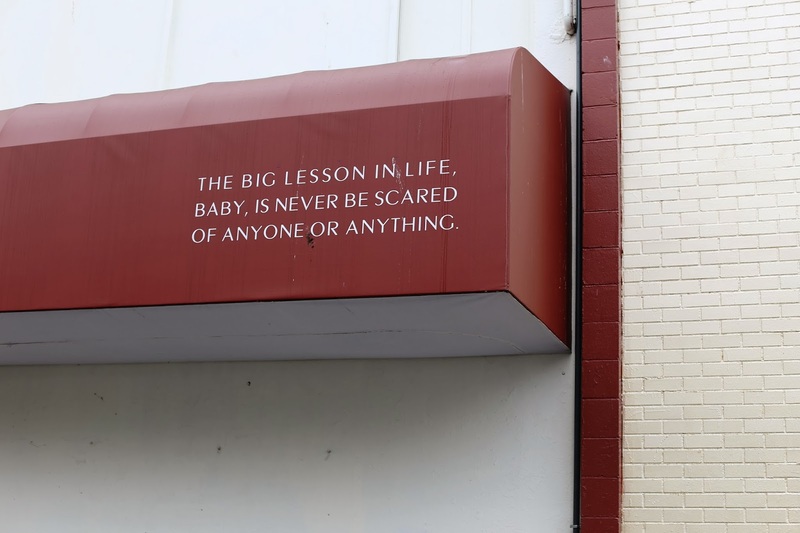 On an awning for The Emerald supper-club and lounge in Vancouver's Chinatown, a bit of wisdom from Frank Sinatra.